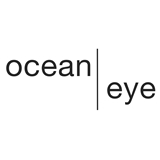 Ocean Eye (San Diego) - Book Appointment Online! Ocean Eye is a Premier Eye Care provider in San Diego County. We focus on providing the highest quality medical and surgical eye care possible using the most advanced techniques and the best technology available in a comfortable, low-key environment. We also emphasize patient education because we believe it is critical to enable you to choose the best course of action for your individual eye care needs. We promise to take the time to help you understand your options. We value the faith and trust you place in us to be your eye care advocates. Dr Chen was wonderful. He tested my eyes and provided an excellent second opinion about the cataract surgery I had from last December at the Naval Medical Center San Diego. I am very happy with everything Dr. Chen told me.